Size: approx. 6 mm. Photo: 04/22/15, 11 pm. 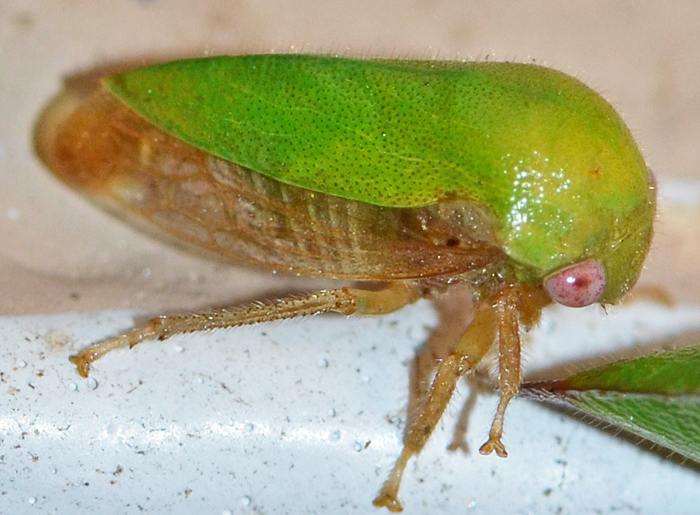 Ophiderma flavicephala is a treehopper that can be found on oak trees. Females are slightly larger and brighter than males but the differences are not big enough to allow this determination here. 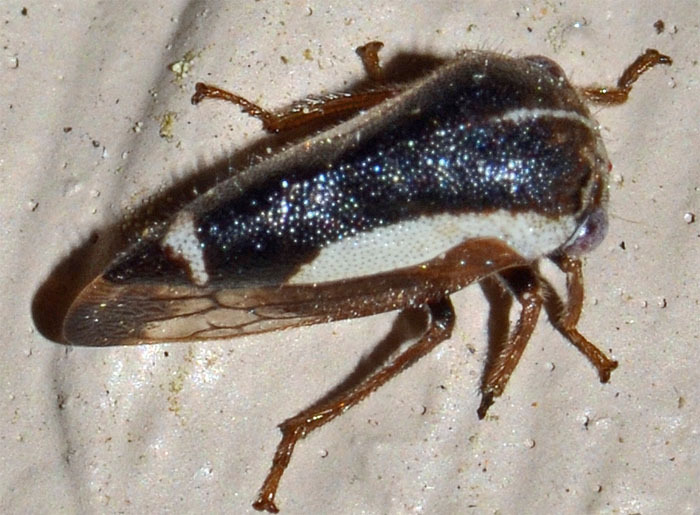 This treehopper is common in Florida and usually found in March and April. 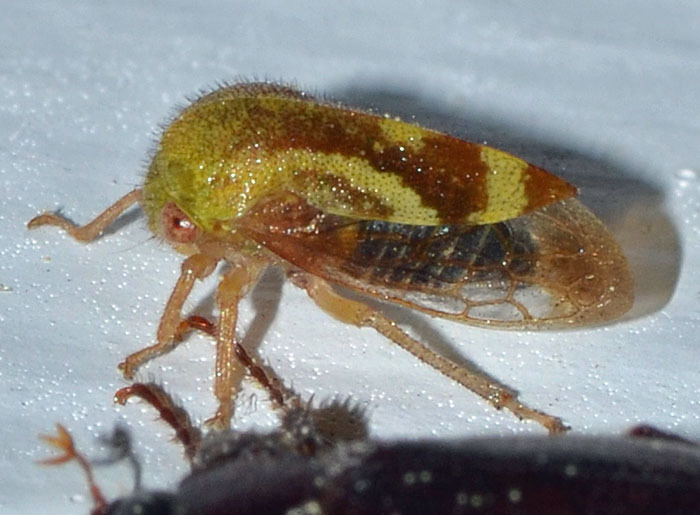 Ophiderma evelyna is a large treehopper (6-7 mm) and associated with oak trees. The species is relatively uncommon in Florida. This specimen was attracted by the light of my patio lamp. The small photo was taken on 06/24/16 and shows a female.